CooksRecipes has quality, kitchen-tested recipes for plain and savory breads and rolls, prepared using a bread machine, that you can count on for successful deliciousness. 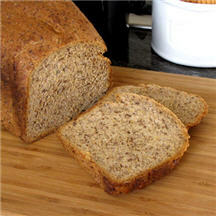 This outstanding flax seed bread is sure to become a family favorite. 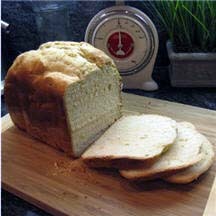 It has a softer texture than most whole grain breads, and a mild, nutty flavor that makes it an ideal everyday bread. 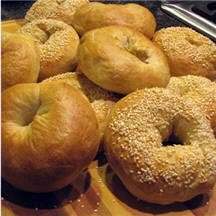 Homemade bagels are so worth the effort! Thankfully, the bread machine eliminates much of the "work". Love at first bite! This comforting loaf of homemade French bread has a crunchy outer crust and a moist, tender inner crumb fragrant with garlic.